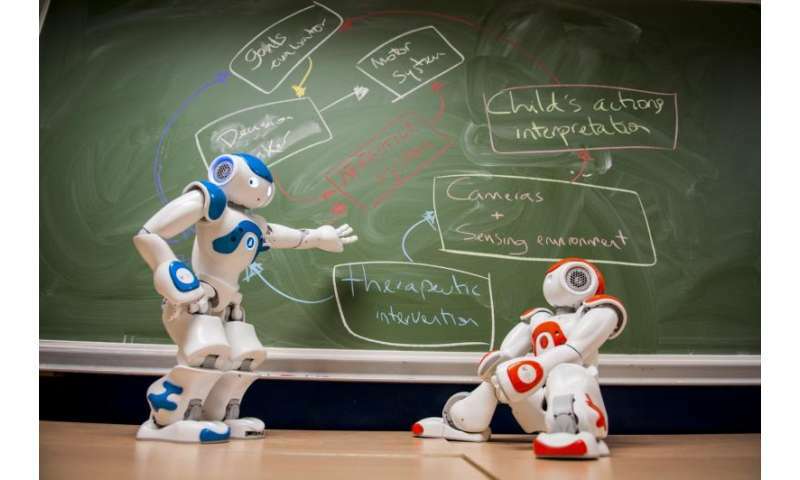 The Development of Robot-Enhanced therapy for children with AutisM spectrum disorders (DREAM) project will design robots that can operate autonomously and help the therapist to improve the child's social interaction skills, such as turn-taking, imitation and joint attention. 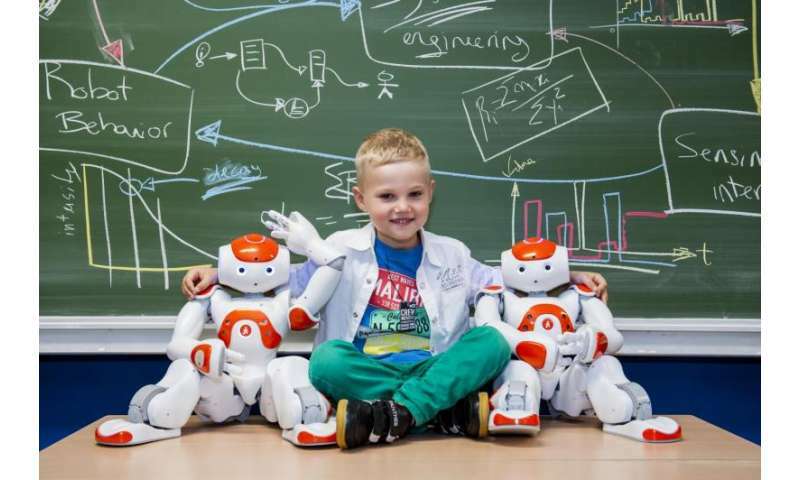 The DREAM Project aims to develop an autonomous robot that minimises the therapist's intervention so they can focus more on the child and improve the outcome of the therapy. The DREAM robot will also function as a diagnostic tool by collecting clinical data during therapy. The team has substantial experience in multi-sensory data fusion, especially sensing and analytics for multi-camera systems. They have developed a multi-camera smart environment, consisting of a NAO robot, Microsoft Kinect cameras and high resolution cameras that track and measure the child's motions and facial expressions and interactions with the robot. Honghai Liu, Professor of Intelligent Systems and Portsmouth research lead for DREAM, said: "DREAM is a project that will deliver the next generation RAT robot, and its core is its cognitive model which interprets sensory data (body movement and emotion appearance cues), uses these perceptions to assess the child's behaviour by learning to map them to therapist-specific behavioural classes, and then learns to map these child behaviours to appropriate robot actions as specified by the therapists. "The multi-sensory data that we are capturing will be used to provide quantitative support for the diagnosis and care and treatment of ASD, replacing current labour intensive techniques involving paper and pencil, or manual video analysis."